James Meek was born in London in 1962 and grew up in Dundee, Scotland. 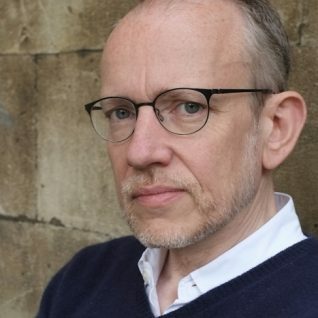 The People’s Act of Love, his third novel, won the 2006 Ondaatje Prize and the Scottish Arts Council Book of the Year Award. In 2004 his reporting from Iraq and about Guantánamo Bay for the Guardian won a number of British and international awards. A literary sensation acquired by twenty-one premier publishers around the world, long-listed for the 2005 Man Booker Prize and met with a groundswell of praise from writers and critics, The People’s Act of Love is a masterpiece of storytelling that has been universally hailed as a major literary achievement. beautiful, willfully self-reliant widowed mother. A mystical, separatist Christian sect, a stranded regiment of restless Czech soldiers, and an eerie local shaman live nearby, all struggling against the elements and great social upheaval to maintain a fragile coexistence. Out of the woods trudges Samarin, an escapee from Russia’s northernmost prison camp, with a terrifyingly outlandish story to tell about his journey. Immediately apprehended, he is brought before the Czech regiment’s megalomaniac, Captain Matula. But the stranger’s appearance has caught the attention of others, including that of Anna Petrovna. This stranger, his bizarre story–if it is to be believed–and the apparent murder of the local shaman quickly become a flashpoint for this village: temperatures rise, alliances shift, and betrayals emerge. 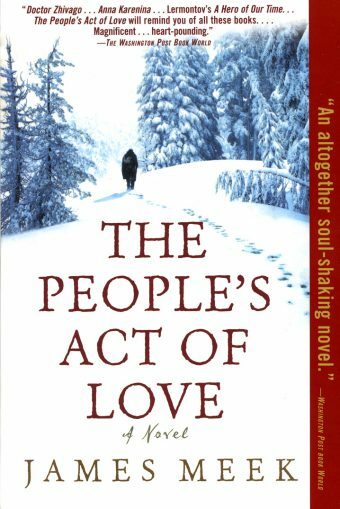 Written with a commanding historical authority and remarkable grace, The People’s Act of Love is an epic of desire and sacrifice that leaves the reader utterly mesmerized through to the final heart-pounding pages. When Kyrill Ivanovich Samarin was twelve, years before he would catch, among the scent of textbooks and cologne in a girl’s satchel, the distinct odour of dynamite, he demanded that his uncle let him change his second name. He didn’t want to be “Ivanovich” any more. The Ivan from whom the patronymic came, his father, had died when he was two, soon after his mother, and he had lived with his uncle ever since. His uncle’s name was Pavel; why couldn’t he be called Kyrill Pavlovich? When his uncle told him he couldn’t change it, that this was the way things were done, that dead fathers had rights and required respect, the boy went into angry silence, pressed his lips together and looked away, breathing loudly in and out through his nose. His uncle knew these signs. He would see them every few months, when one of the boy’s friends let him down, or when he was told to put his reading lamp out and sleep, or when he tried to stop his uncle punishing a servant. What the boy did next was not familiar. So the twelve-year-old came to be called, at home at least, by his family name alone, as if he were living in a barracks. The uncle was fond of his nephew. He spoiled him when he could, although Samarin was hard to spoil. Samarin’s uncle had no children of his own, and was so shy in the presence of women that it was difficult to tell whether he liked them or not. He had little rank to speak of, and a large fortune. He was an architect and builder, one of those charmed individuals whose practical usefulness transcends any amount of snobbery, corruption and stupidity in the powers on whose patronage they depend. As Samarin grew up, people in Raduga, the town on the Volga where he and his uncle lived, stopped thinking of him as an unfortunate orphan and began to refer to him as schastlivchik, the lucky one. It didn’t harm the good name of Samarin’s uncle among the conservative gentry that he took no interest in politics. No circle of chattering liberals met at his town house, he didn’t subscribe to St Petersburg periodicals, and he refused to join reform societies. Reformers would keep asking him to sign up, all the same. He hadn’t always been aloof from causes. In the mad summer of 1874, long before Samarin was born, his uncle had been one of the students who went like missionaries among the peasants in the villages, urging them to rebellion. The peasants had no idea what the students were talking about, suspected they were being mocked, and asked them, with embarrassed whispers and some jostling, to leave. Samarin’s uncle was fortunate to escape exile in Siberia. He never recovered his lost pride. Once a month he would compose a long letter to a woman he had met in those days, who now lived in Finland, and, just before posting it, he would burn it. Samarin seemed to take after his uncle in politics, though not in his dealings with women. He went through school and on to the local university, where he enrolled as an engineer, without joining any of the debating societies or discussion clubs or semi-underground Marxist circles populated by the radical students. Nor did he enjoy drill, or mix with the militant anti-semites who would loiter on the university steps, gawking at hooknosed, bloodsucking Jewish caricatures in pedlars’ chapbooks. He read widely – his uncle would buy him any book he wanted, in any language – went to dances and, in his late teens, took long summer trips to St Petersburg. When a friend asked him about luggage labels in German, French and English on his travelling trunk, he smiled and said that buying the labels was much cheaper than actually travelling abroad. He had a great many friends, or rather a great many students counted him as a friend, even though, had they stopped to think about it, most of them would have been able to count the hours they’d spent with him on the fingers of one hand. Women liked him because he danced well, didn’t try to get drunk as quickly as possible when the means were to hand, and listened with sincere interest when they talked. He had a way of devoting attention absolutely to one woman, which not only pleased her during their conversation, but left her with the feeling afterwards that the time they’d spent – no matter how brief, and usually it was brief – was time offered to her from a precious store, time which could and should have been used by Samarin to continue a great task. The fact that nobody knew what this great task was only intensified the feeling. Besides, he dressed well, he stood to inherit a large estate, he was clever, and everything about him, his wit, his strength, even his looks – he was tall, a little gaunt, with thick collar-length brown hair and eyes that shifted between serene remoteness and a sudden sharp focus – suggested a man holding himself back from revealing his full self out of consideration for the less gifted around him. The voices which spoke of alternative Samarins never gained a patient hearing, not because they were thought to be motivated by envy, but because their slanders were deemed too obscure. They were received like the small paragraphs in newspapers reporting bizarre happenings in other small provincial towns similar to Raduga (though never in Raduga): they were read with interest, but not believed, let alone acted on. There was the story of how somebody had seen Samarin and his uncle walking together when the nephew was fifteen, and how it had been the nephew talking, gesturing as if explaining something, and the grey-haired uncle who was listening, silent, nodding, hands behind his back, almost respectful. In those days there was unrest in the countryside. Manor houses were being burned down by peasants angry at the compensation they still owed landowners for the privilege of being freed from serfdom forty years earlier. Samarin’s uncle would be called on to supervise the reconstruction of the manor. He would take Samarin with him to visit the families of the burned-out gentry. What one witness said, and it was only his word against everyone else’s, was that he had overheard uncle and nephew together after one such visit, to a family of the most minor nobility, who had lost everything, and that the two of them had been laughing about it. “I heard the boy laugh first, and then the uncle joined in!” So the witness said. There was a holiday, and Orlov took his daughter to the country house of one of the university’s patrons. Samarin found out that another student had arranged to meet Katya in the grounds of the house, to read her his poetry. Samarin persuaded the student that they should go together to the gates of the estate. Samarin warned him that Katya preferred men to be dressed in light-coloured clothes. Not long after the two men set out along the country road to the house, Samarin on a bicycle and the other on a horse, there was an unusual accident. The horse, normally docile, threw the poet, just as they were passing an area of deep, wet mud. The poet’s white suit and beige English raincoat were covered in dirt, and he hurt his ankle. Samarin helped him onto his mount again and the poet turned back. Samarin offered to deliver the poems to the house before riding back to chaperone the poet safely home, and the poet agreed. They parted. A mile short of the house, Samarin dismounted and walked on, wheeling the bicycle with one hand and holding the student’s poems in the other. The verses were heavily influenced by the early work of Alexander Blok. The words ‘moon”, ‘darkness’, “love” and “blood” occurred with great frequency. After reading each one, Samarin stopped, tore the paper into eight neat squares, and dropped it in the ditch running along the side of the road. There was no wind and the paper spread out onto the surface of the meltwater run off the fields. A watchman stood at the gate of the estate. One student looked much like another to him and, when Samarin introduced himself as the poet, it didn’t occur to him that the young man might be lying. Samarin asked if he could meet Katya at the summer house by the pond and the watchman went to fetch her. Samarin wheeled his bicycle over to the summer house, a sagging, rotten structure being claimed by bright green moss, leaned his bicycle against a tree, and sat on a dry patch on the steps. He smoked a couple of cigarettes, watched a snail working round the toe of his boot and ran his hand through a clump of nettles till he was stung. The sun came out. Katya came through the wet, uncut grass, wearing a long brown coat and a broad-brimmed hat. She smiled when she saw it was Samarin. She bent down and pulled something out of the ground. When she sat down next to him she was holding a bunch of snowdrops. Samarin told her what had happened to the poet. “I’m not supposed to see you,” said Katya. Katya shook her head. “Are you writing poetry now?” she said. Samarin opened the pamphlet and began to read. He read for a long time. At first, Katya watched him with the kind of wonder that shows on people’s faces when somebody says something out loud which corresponds to their most deeply buried thoughts; equally, it could have been what shows when one person makes a lewd proposition to another much earlier than expected in their courtship. After a while, however, Katya’s blue eyes narrowed and the last patch of red faded from her smooth white face. She turned away from Samarin, took off her hat, brushed the gleaming blonde wisps from her forehead, took one of his cigarettes and began to smoke, hunched over her forearm. “What does this strange document have to do with me?” said Katya. “You should mind your own business,” said Katya. Katya gave a short, thin laugh. ‘read more,” she said. “I’m not working for the police,” said Samarin. He folded the pamphlet and tapped it on his knee. “I could have lost this, with the poetry, couldn’t I? You memorised the Catechism of a Revolutionary. That was clever.” He lowered his head a little and turned his mouth in a smile that failed to take. It came out as a grimace. Katya tossed her cigarette stub in the weeds and leaned forward to catch the expression of doubt in his face, an expression she’d barely seen before. Samarin turned his head away slightly, Katya leaned further forward, Samarin twisted away, Katya twisted after him, Katya’s breath was on Samarin’s cheek for a moment, then he straightened up and looked around. Katya made a little sound at the back of her mouth, scorn and amusement and discovery all at once. She put a hand on his shoulder and he returned to her, looking into her eyes from almost no distance. It was so close that they could tell whether they were looking into the filaments of the other’s iris, or into the black ports of the other’s pupils, and wonder what significance either had. “It’s a curious thing,” said Katya, “but I feel I’m looking at the true you for once.” Her voice was the voice of closeness, not a whisper but a lazy, effortless murmur, a cracked purr. With one finger Samarin traced the almost invisible down on her upper lip. “Why is it so unbearable?” said Samarin. “I won’t,” said Samarin. He put his lips on hers. Their eyes closed and they put their arms around each other. Like a feint, their hands moved decorously across each other’s backs the more eagerly they kissed. It was on the edge of violence, on the edge of teeth and blood, when they heard shouting in the distance and Katya pushed him away and they sat watching each other, breathing deeply and sullen, like opium eaters over laudanum they’d spilled squabbling. It was months before Samarin saw Katya again. One morning he waited for her at the station. The university had a poor library and at intervals the authorities would send railway wagons, fitted out with bookshelves and desks, from Penza to give the students access to specialist titles. Samarin had all the books he needed at home but in the hottest days of May, when the railway library came, he was outside. Katya arrived, wearing a white dress and no hat and carrying a large, almost empty satchel. Her pale skin had burned and she was thinner and more anxious. She looked as if she had been sleeping badly. There was a hot wind and the poplars were hissing in their row beyond the station. Samarin called to Katya but she didn’t turn round. She went into the library wagon. It stops them, embraces them and ends their pain,But she was falling over and over, jumping,Hitting the ground, dying and falling through again. Samarin closed the book, went to the door of the librarian’s office and pressed his ear against the wood. The wagon was creaking in the wind so loudly that he couldn’t hear. He couldn’t tell if he could hear whispers on the other side of the door or if it was the wind and the roaring of the trees. A gust caught sand and straw and sent them pattering along the wagon chassis like a flood of rats flowing through the wheels. Samarin moved away from the door and heard a woman cry out. It came from outside. He ran out of the wagon into the dust and looked up and down the platform. There was no one. He could hear bells from a fire brigade in the town. He heard the woman cry out again, as if not from fear or pleasure or anger, just for the sake of making a sound, like a wolf or a raven. It was a long way away. A stone hit Samarin in the shoulder, and another on his head, and one on his cheek, drawing blood. He covered his head with his arms and ran under the platform roof. The sound of the wind was drowned out by a sound like cannonballs being poured onto the town from an inexhaustible bunker and the air turned white. The hailstorm lasted two minutes and when it ended the remnants of leaves hung from the trees like rags. The ground was ankle-deep in ice. Samarin saw the door of the wagon open and Katya climb down with a satchel on her back. Something heavy inside it weighed the satchel down. She looked up and saw him. Samarin called her name and she began to run away down the line. He moved after her. She slipped in the hail and fell and he came up to her. She was lying in the ice, half on her back, half on her side. Samarin knelt down and she looked up at him as if he’d come to her in the morning to wake her up after nights and days of sleep. She touched the cut on his cheek and slowly drew back her fingertip with the smudge of blood on. She was beginning to shiver with the cold. She asked Samarin: “Where to?” Where to. Samarin took her hands and pulled her up out of the softening hail. She was dripping wet and shivering. She took a few steps away from him, took off the satchel, looked inside it, held it against her chest and laughed. Samarin told her to give it to him. She went on laughing and ran away down the track. Samarin ran after her and caught her round the waist and she fell face forward. She was strong and she tried to cover the satchel with her body. Samarin wrestled with her, trying to turn her over, his shins wet in the ice, his knees against her thighs, his hands delving in under her to where she held the satchel against her belly. He smelled her hair and the wet cotton of her dress, and her soft strong middle twisted in his hands like a fish. He drove his right hand in between her legs and his left hand up to her breast and without crying out she let go of the satchel, squirmed round and tore at his hands with hers, their soft chill palms on his knuckles. He seized the satchel, rolled away from her and stood up. “Give it back,” she said, lying still, looking at him. Samarin opened the satchel. There was an explosive device in it. He took it out and threw the satchel to her. Katya began to shiver. “Better me than you,” said Samarin. Katya stood up, the melted ice leaving dark streaks down the crumpled front of her dress. Fragments of hail hung from the ends of her hair. She looked down, began to brush herself, then stopped and looked at Samarin. A change came across her face. It became warm, hungry and interested. She came up to Samarin, pressed her body against him, wrapped her arms round him and kissed him on the lips. “Do you really like me so much?” she said. “Yes,” he said, and leaned his mouth to hers. Katya grabbed the bomb from his distracted hand, hooked his ankle with her toe, snatched him off his footing, and ran away before he could catch her. Two weeks later, she was arrested and charged with conspiring to commit an act of terrorism. 1. The People’s Act of Love is an historical novel set mostly in Siberia just after World War I and the Russian Revolution. 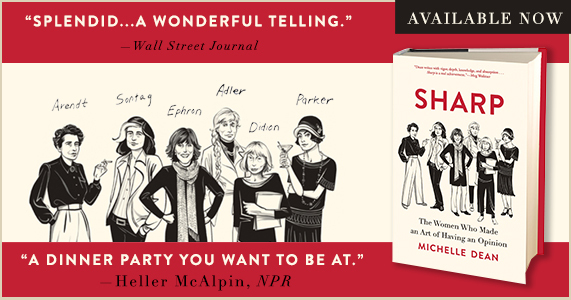 Consider the story against the backdrop of actual events and cultural changes that had taken place in Europe and Russia in 1919. How historically accurate does James Meek’s story seem to be? Meek is very faithful to history. Yazyk did not exist, although the castrate cults did. All the information about the Czechs seems accurate, down to their manufactured money and stamps, but Staraya Krepost is made up. How important should factual information be in a work of fiction? What is the function of fact in fiction? In this book, does Meek arrive at a more compelling truth by using both fact and fiction? 2. Knowledge of geography can be important in establishing a sense of place. It is difficult, even for Americans, to comprehend the vastness of Russia and especially Siberia, which alone is a third larger than the United States. For instance, Yazyk, the village where most of the story takes place, is described as being “two thousand miles from Petrograd.” What are some indications of the immense distances that must be overcome, and of the nearly impenetrable isolation of Yazyk and other Russian settlements from one another? Consult an atlas and roughly estimate the distances between “a town near Penza,” where Samarin had been an engineering student, Voronezh, Anna’s birthplace, Vladivostok, Prague, St. Petersburg, and Siberia between Omsk and Krasnoyarsk, where Yazyk supposedly was located. What meanings do some of the fictional place names have: Raduga, where Samarin grew up, Yazyk, and Staraya Krepost? 3. 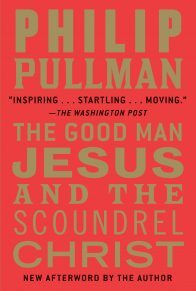 The novel deals with quite a few religious beliefs, among them Christianity, fanatical cults, supernaturalism, Judaism, and atheism. What are the features, values, and weaknesses of these belief systems as expressed by different characters in the novel? How do the various factions view heaven and hell, if at all? Is there a Christ figure? 4. What is “the people’s act of love”? Are there “good” and “bad” characters in this story? What does Meek perhaps intend for us to understand about goodness and evil and the individual? What about the community? Which characters, if any, find salvation or redemption? 5. There is very vivid imagery involving trains and railroads, and particularly horses in The People’s Act of Love. Do you think Meek intends to make a point about nature and a newly industrialized world? The shaman’s last prophecy was, “In the future everyone will have a horse” (pp. 47, 165). What do you think he means? What do horses mean to different characters and groups? Matula’s mount is described as a “big evil white stallion,” and the albino goes back into the forest with the shaman’s body on Omar, a black horse. Is that significant? The color white is also a prevalent motif (pp. 15, 55, 297, 301, 371, and 372, to name only a few examples). How is it used and to what purposes? 6. 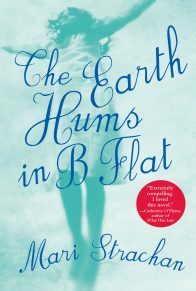 This novel has been described as “beautifully written, with a poet’s eye and a love for sound.” This line from page 336 is a small sample: “The brilliant blue of the sky, the brightness of the puddle-ice, made this a shiny chocolate box doomsday.” The gorgeously horrific scene in which a man and several horses plunge from a train on a bridge is another example (pp. 15–18). What does Meek achieve by creating the paradoxical imagery of something shocking or awful described in beautiful, poetic language? What are some other passages that show how beautifully Meek uses language? 7. 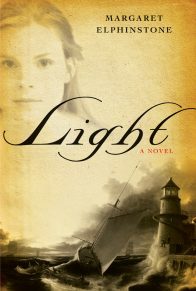 How does Meek create dramatic effect and suspense in the construction of this novel? Is this story a good mystery? 8. Although The People’s Act of Love is a very dark and sometimes grisly novel, it is not without humor. Meek employs humor and jokes (pp. 70, 242) and comical vignettes (pp. 152–159), but he’s at his best with sarcasm, as in the conversation between the sinister Matula and his mistress (p. 165) and this comment upon finding his man Kliment dead: “”Hanak! Turn Kliment over,” said Matula. “There you are. Big nasty stab wound. Autopsy over.”” How do these forms of humor function in the story? 9. Discuss the women in the novel: Katya, Anna, and Elizabeth. What are their roles? How are they thought of by the men in their lives and by their communities? Do the women know more about truth than the men? What is the problem with Nekovar (for instance, in his exchange with Mutz and Broucek on pp. 244–245, and again on pp. 312–313)? What is the significance of Mutz using Anna’s likeness on his money? 10. What are the two conflicts between Anna Petrovna and her father, the painter Lutov? What do they each think of the other’s art? Does this conflict reflect a controversy in the art world? How is each medium expressive of each of these characters’ worldview? 11. Drugs seem to have played a part in some of Meek’s characters’ lives (pp. 217, 230, 264, and 266). How were they used, and why? What part of their behavior was influenced by drugs and how does this add to their characterization? Is drug use at this place and point in history surprising? 12. 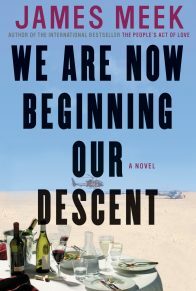 In addition to writing acclaimed novels and short stories, James Meek is an award-winning journalist who has reported from a number of world trouble spots including Iraq and Guantanamo Bay. How might the professional objectives of journalists inform, or be useful, in creating works of fiction? 13. Andrei Platonov, born in Voronezh (birthplace of Anna Petrovna) in 1899, was a little-celebrated Russian writer who was the first to speak out in his writing about the need to resolve the terrible civil conflicts that broke out after the Bolshevik Revolution of 1917. His books were all but banned by the 1930s, and as a foreign correspondent in World War II, he contracted tuberculosis on the front. He died, unknown and impoverished, in 1951. Why would James Meek have selected a quotation from Platonov as the epigraph to this novel, and what is its significance? 14. 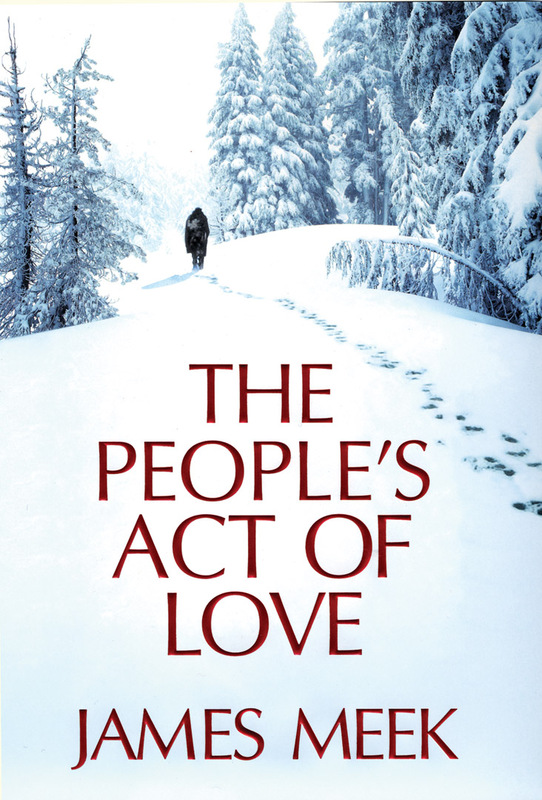 Although James Meek is British, The People’s Act of Love has been perceived as “a truly Russian novel” that “captures the Russian spirit beautifully.” What is Russian about this book? 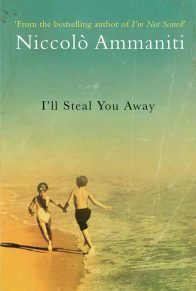 What other examples in literature transcend passport boundaries in a similar way? 15. Two other epic books are set in war-torn Russia, Ten Days That Shook the World by John Reed, and Dr. Zhivago by Boris Pasternak. How do they differ from, or resemble, The People’s Act of Love? Reed’s and Pasternak’s books were made into brilliant, sweeping films. Would The People’s Act of Love make a good film? Who might direct it, and how might it be cast? Would it be more effective as a color or black-and-white film?